Sales - ABW Airconditioning – installation, commissioning, service and maintenance of all types of air conditioning. Free no-obligation site surveys to establish your requirements. A professional in-house design and specification service with the ability to work with AutoCAD applications. Free no-obligation quotations with in depth proposals. Air conditioning Systems to provide heating and cooling. Single split systems to large ‘Multi’ and ‘VRF’ (Variable Refrigerant Flow) installations. Close control air conditioning for sensitive environments to include dehumidification. The hiring and sales of portable air conditioners. Commercial Refrigeration systems to include cold rooms. 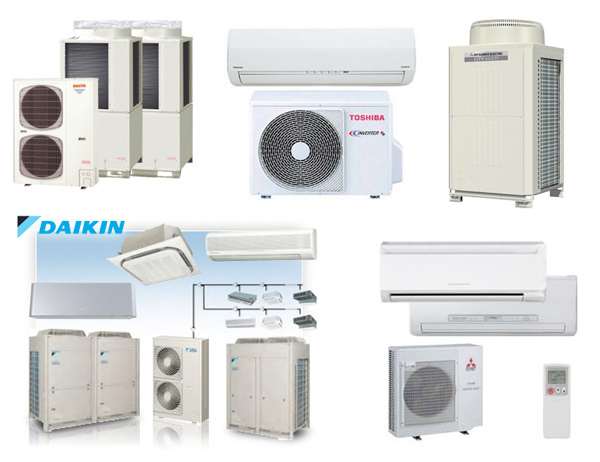 We have accounts with all major air conditioning suppliers including Daikin, Mitsubishi, Toshiba, Sanyo and Hitachi.